A Simple Plan . . . I don’t know about you guys, but I am an avid list maker. I might be bordering on a slight obsession, but, I LOVE lists. Lists are like a perfect outline to the day. They help to keep me on track, and focused (which lately, has seemed harder and harder for me to do.) Lists really speak to my personality as well. I’ve realized that I don’t like a lot of small talk. I like to get right to the point and cut out the fluff. Lists help me to do that. They easily pull out the meat, and leave the fluff behind. 1. Continue to do the things that have been placed before you. Daily move toward your goals. Doing your part, leaves room for Him to do His part. Remember, baby steps are still steps! 2. Bring every thought captive. Who is the author of your thoughts? Is it good? Is it in love? Is it beneficial? Immediately discard the thoughts that do not fit in these categories. 3. Walk boldly up to the things you feel challenged by. You will find they are nothing more than empty fears, easily conquered with the Father at your side. In other words, face your empty fears! This entry was posted in Faith, Goals, Inspiration and tagged 3 step plan, God, journaling, plans, Projects on February 18, 2015 by thelookbookphilosophy. This entry was posted in Goals, Inspiration, Photography, Today and tagged God, Thankfulness, To Do on September 23, 2013 by thelookbookphilosophy. Do You Know What Today is . . .? It’s our anniversary!!! As of 4 pm today, I will have been married for 11 years! A milestone some may say. But i’ll let you in on a little secret. September 21st is the date Rob and I got married in front of all our friends and family. And although that is the date we celebrate as our anniversary, we actually got married in Vegas on January 3rd, 2002. I got the crazy idea in my head that I wanted us to have a secret from the rest of the world. So I suggested we run off into the night and get married and not tell anyone. It would just be our little secret. Well, we did. And we kept that secret, pretty much. I don’t know what it is about secrets. Sometimes they can be sooo good.☺ Anyway, it’s been an amazing journey. There have been many lessons learned on both sides, and we are still growing. I thank God for the life He has blessed us to create together and I’m looking ahead with excitement toward our future! This entry was posted in Family and tagged anniversary, God, life, Love, wedding on September 21, 2013 by thelookbookphilosophy. I spent this morning working on some renderings for an interior design company that I am very fond of. I love that I am able to freelance and keep my hands in different areas that are interesting to me. If I wasn’t so in love with fashion, interior design would be my full time love. But luckily, I am blessed to be able to do both!! I love rendering and it keeps my creative juices flowing. Plus, watching projects go from paper to reality is always a great source of joy and inspiration for me. So, today I am thankful for the humble opportunity to contribute to the bigger picture. I am thankful that God has given me an opportunity to use my talents in a way that can allow me to earn money, and fulfill a need for those who need it. It’s good to be needed. It’s good to be challenged. It’s all good. This entry was posted in Art, Inspiration, Interior Design, The Creative Process and tagged art, blessings, God, Interior Design, Marker Renderings, Thankfulness on September 19, 2013 by thelookbookphilosophy. Hello beautiful April dwellers!!!! I hope this month finds you living well! Hard to believe it is already April. Spring is definitely in the air. My firstborn will turn 8 years old tomorrow!!! He has matured so quickly in the last few months. It’s amazing to watch, and a blessing to be able to partake in. On other fronts, God is really working with me on that virtue they call patience. This past month has really been a training ground for it, and I don’t mean that in a bad way. Happy to say I am passing the tests, but it is a minute-by-minute, second-by-second battle. Actually as I write this, I’m not so sure the endurance training I am partaking in is for patience, if I am honest with myself, and at this point in my life, why be otherwise . . . it seems my endurance training is more about letting go and letting God take the reigns. Perhaps it is more a test of faith. I used to think that when you had faith you just didn’t have concerns or worries about your daily situations . . . that you just said to yourself… “No matter, God will take care of it!” What I’ve learned is that that is the correct response, however, you do still have concerns and worries. You just don’t let them hang around as long as you once may have! The concerns, and critical thoughts definitely still pop into your head, but when they do, they should be swiftly dealt with. I do it by telling them to leave and reminding them that God is the source of my supply, and that no weapon formed against me shall prosper!!! These days that’s the way I am handling things. It definitely feels good. But don’t get me wrong, it is still a minute-by-minute battle for me. Does that ever change? Just wondering . . . .
Do you like the image I posted above? I was recently commissioned to create a poster of this quote from an unknown source. I absolutely love this quote. Is this not an amazing way to start the day? I love the idea of attacking something with enthusiasm!!! I made one for my client and myself. Now I have a friendly reminder to look at in the morning when I am getting dressed for the day. What words do you speak to yourself to start your day? Whatever words you choose, I hope they are words of love + encouragement, because you deserve it!!! Now go forth and ATTACK!!! This entry was posted in Art, Faith, Family, Typography and tagged enthusiasm, faith, God, growth, original artwork on April 3, 2013 by thelookbookphilosophy. So Fresh & So Clean. Clean. Can’t you just imagine waking up and walking out through these beautiful glass doors to this gorgeous garden every morning? I can. Cup o’ coffee in hand. Birds chirping. Thanking God for another day to master my weaknesses. Asking Him to help me to be a blessing to everyone I come in contact with. Aaaahhhh . . . yesssssss . . . I’m there . . . But I’m here. In this house, thanking Him in advance for all that I am. All that I have. & All that I will be. This entry was posted in Architecture, Faith, Inspiration, Interiors and tagged Garden, glass doors, God, Thankfulness on October 26, 2012 by thelookbookphilosophy. Back in the Swing . . .
Hello friends, I have to apologize for my AWOL status! The whole fam got sick one by one, and this particularly crazy flu bug affected each of us differently (fevers, sore throats, sharp shoulder & neck pain! Aaargh!). Thank God that is behind us. I am finally out of pain and so are the biscuits. God is good, to say the least! ☺ Meanwhile, life has been swiftly moving on. The first round of parent/teacher conferences has come and gone and we are in the full swing of daily homework and studying for weekly spelling tests. On my end, I have been communicating back and forth with my overseas manufacturers. Its a very exciting time, and God is really working with me on my patience!!! We are gearing up for the new samples, but in the interim, I am clearing space and mindset by selling off the last of the old season stock. I will post images of our sale items later today. All orders will be processed via PayPal, and will ship via UPS Ground. This is your last chance to own styles from the original Ayanna Listenbee Handbag line. The prices are unlike any we’ve ever offered before, so take a look and act fast. There are limited quantities of all items. In the meantime and in between time, I love yall. Keep those dreams and goals before you, and grab onto them with all your might. They are yours for the taking!!!!! This entry was posted in Design, Family, Goals, Handbag Design, Kids and tagged AWOL, Ayanna Listenbee Handbags, flu, God, overseas manufacturers, sale, school on October 8, 2012 by thelookbookphilosophy. Randomocities: Made in the U.S.A.? Have you ever had to make any major changes to your goals? This entry was posted in Goals, Handbag Design, Handbags, Randomocities and tagged CEO, Christ, God, made in the USA, overseas manufacturing, possibilities on August 31, 2012 by thelookbookphilosophy. Hopefully I am not overdoing my list. I tried to keep it simple, but the list maker in me sometimes takes over. (I have a deep adoration for lists . . . and an even greater appreciation for crossing things off said lists). I was born this way. A good term for me would be “LISTOMANIAC.” Hey, the word list is the first 4 letters of my last name! Obviously this is no mistake!!! 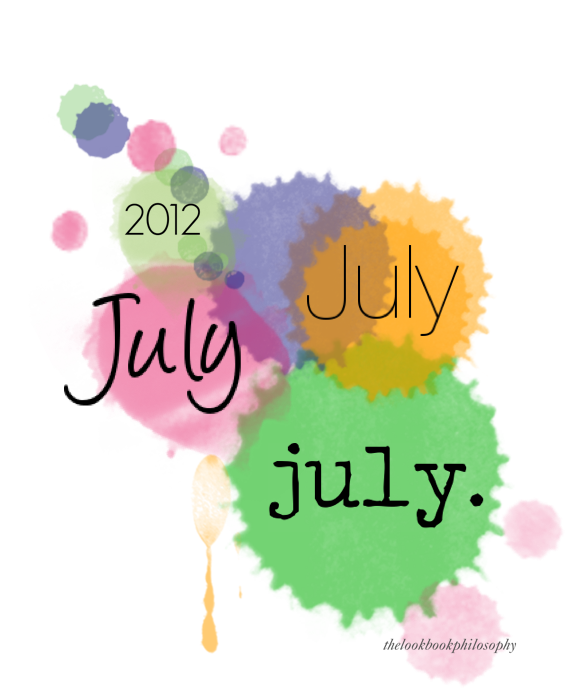 This entry was posted in Blogging, Goals, Personal Growth, Summer Vacation and tagged braces, God, July, lists, The Worn Identity on July 2, 2012 by thelookbookphilosophy.